Oakton’s Alliance for Lifelong Learning and World Instructor Training Schools (WITS) offer training for one of the fastest growing health occupations. The course includes 15 hours of classroom learning, 15 hours of practical on-campus training, 4 hours of testing, and a 30-hour internship with a local health club. Book is not sold in Oakton’s bookstore. Purchase online or order from W.I.T.S. Call 888-330-9487 for more information. Being a personal trainer certified with an NCCA accreditation sets you apart as a qualified fitness professional associated with other professions and occupations including nurses, physical therapists, financial professionals, respiratory therapists, counselors, emergency technicians and more. 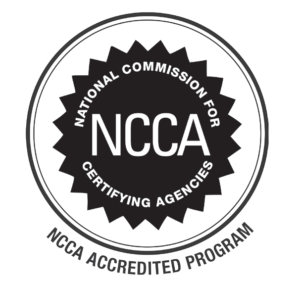 Having the NCCA accredited personal trainer certification ensures employers that you have the highest level of credibility for training clients. In many cases, employers may increase your pay to acknowledge this additional credential. In addition, one in three employers will only hire a NCCA Accredited Personal Trainer. The Bureau Labor of Statistics project growth in the personal trainer field (expected to grow 10% 2016-2026). The median annual wage for fitness trainers and instructors was $39,210 nationally, and $44,500 in Illinois, in May 2017 (bls.gov). For more information, please call 847.982.9888.